Incitement is the new uncontrollable, affordable and elusive weapon of mass destruction. Its brand of terrorism constitutes a major strategic threat to the foundation of the free world. A definitive analysis and what can be done. The Muslim-Arab world fans the flames of hatred and violence against Israel, and against the United States and Westerners as a whole. Directly responsible for inciting terrorism and unleashing its lethal genie, Muslim-Arab leaders have produced uncontrollable, hard-to-detect mobile homicide bombers, a low-tech delivery system ready to attack anyone, anywhere, anytime. In our high-tech world, terrorists have become the ultimate low-tech weapon of mass destruction, whether they are armed with belts packed with explosives or, in a worst-case scenario, carrying lethal biological (or chemical weapons) capable of spreading death and disease worldwide. The growing wave of terror thwarts peace in the Middle East and threatens the lives of Westerners throughout the world, from the heart of Manhattan to remote islands like Bali. Terrorism kills innocent victims everywhere and on all sides. Despite pledges to renounce violence against Israel, Arab leaders continue to incite, inflame and encourage Palestinians to pin every problem they face as individuals and as a society on Israel. This strategy of channeling frustrations into hatred and the desire for revenge against Israel is adopted both by Israel’s immediate Palestinian neighbors and Arab leaders throughout the Muslim-Arab world. Arab leaders lend support to the Palestinian cause with money and a combination of anti-Israeli and anti-American messages from government- controlled media outlets and educational systems. Sermons that legitimize violence in the name of Islam are encouraged, delivered by extremists throughout Muslim countries and in free countries in the West. Equally troubling is the role of the Arab intelligentsia, particularly in Egypt and Jordan, where Westerners expected Arabs and Jews to achieve a degree of reconciliation. Beyond their writings, the intelligentsia refuses to establish ties with Israelis, and they boycott the few colleagues who dare to favor normalized relations by expelling them from professional organizations. They organize hate campaigns against Israel, such as the Jordan-based Anti-Normalization Committee, with 130,000 members, which operates, ironically, under the aegis of the Jordanian Arab Organization for Human Rights. They blacklist those who deal with Israel and the professional organizations enforce the boycott. The Jordanian Journalists Association disciplined three members for traveling to Israel to interview officials. Another organization sued a lawyer who attended a reception at the Israeli Embassy. A third group threatened to expel dentists who treat Israeli patients. A fourth expelled a theater director from the Jordanian Artists Union for establishing ties with Israelis. And lastly, the Jordan Engineers Union refused to recognize degrees from Israeli universities. According to Tel Aviv University scholars, since 1999, Egypt’s anti-normalization efforts have grown more aggressive and widespread as the elite began to view the Arab-Israeli conflict as an existential rather than territorial conflict that threatens Egyptian society and culture. In May 2001, the Union of Egyptian Writers expelled the celebrated playwright, Ali Salem, for his pro-normalization stance. A series of anti-Israel and anti-Semitic novels and tele-novellas have been published and broadcasted. Diplomats, officials and ministers who deal with Israel are branded ‘dupes’ and ‘traitors.’ Joint agricultural ventures with Israel have been marred by accusations that Israeli agronomists introduce varieties and methods that cause cancer, AIDS, and tuberculosis. 50 percent want Israel to eventually disappear from the Middle Eastern map. But those polls also signify more worrisome effects. Arab incitement, now broadened to include anti-Western sentiments, as well as anti-Israeli and anti-Semitic sentiments, is producing the greatest threat to the civilized world since World War II. For non-Arabic speakers, it is hard to grasp just how pervasive the propaganda is in areas controlled by the Palestinian Authority and throughout the Arab world. It is omnipresent: in state-controlled media outlets, in schools and mosques, at rallies, in speeches and articles. Whether in print, music, religious sermons, or on the radio, television and walls, the propaganda that incites permeates the refugee camps, villages and towns on the West Bank and Gaza. It touches those in radical Islamic schools in Pakistan and Saudi Arabia. All who watch Arab-controlled television and movies, read state-controlled newspapers and government-controlled schoolbooks are affected by hate-filled propaganda. The terror that struck the World Trade Center and Pentagon on September 11, 2001 was the grim harvest of a climate of violence actively supported or passively accepted by Arab leaders – radicals and moderates alike – and was not the solitary act of a renegade or a madman plotting with a handful of ardent followers. Terrorism against Israel and the West has reached epidemic proportions. Since September 11, not a day goes by when new terrorist attacks, failed attempts, or plots in Europe, the United States, Africa, and Asia go unreported. Those attacks have captured not just the imagination  and support  of the radical fringe, but of rank-and-file Arabs as well. Palestinian Arabs danced in the streets after September 11, just as they shouted with glee from the rooftops when Iraqi SCUD missiles smashed into Tel Aviv during Operation Desert Storm in 1991. One of the most deplorable methods of incitement is the fatwa – an Islamic ruling that has turned into a vehicle for generating support for and sanctioning mass murder. Fatwas issued over recent decades sanctify suicide bombers’ deaths, although Islam specifically prohibits suicide. The distinction drawn is between those who commit suicide for selfish reasons, and those who commit suicide to become shahids (martyrs) “for the sake of the Arab nation.” A new series of special fatwas permits and encourages women to blow themselves up, in a highly patriarchal Arab society that discourages women from leaving their homes to do anything – work, drive, or even shop – for reasons of modesty. 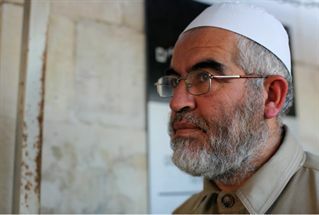 Sheik Muhammad Sayed Tantawi is a key Egyptian cleric from Al-Azhar University and is highly regarded by Palestinians. When he met with Arab members of the Israeli Knesset (parliament), he sanctified suicide bombing as an act of martyrdom. Tantawi called for “intensify[ing] the martyrdom operations [i.e., suicide attacks] against the Zionist enemy,” and described the martyrdom as “the highest form of Jihad operations.” He emphasized that every martyrdom operation against any Israeli, including children, women, and teenagers, is a legitimate act according to [Islamic] religious law and an Islamic commandment. Sheikh Yousef Al-Qaradhawi is a television personality on the popular Arabic network, Al-Jazeera. He is also among the most influential clerics in Sunni Islam (the sect to which Palestinians belong). In July 2003, he convened a meeting in Sweden devoted to suicide bombings and the kinds of terror he said were permitted under Islamic law. In a carefully reasoned ruling, the sheikh enthusiastically endorsed “martyrdom operations” against Israelis as “a unique weapon that Allah has placed only in the hands of the men of belief.”[16 ]The Palestinian Authority itself appoints and pays the wages of some of the most rabid clerics and broadcasts their incendiary sermons on PA-controlled television. Public opposition to this phenomenon of religious leaders who openly sanction murder as a political weapon is limited and muted. 3 This has included not only refusing to establish ties with Israelis, but also boycotting the few colleagues who have been pro-normalization and expelling them from professional organizations, while often generating hatred of Israel in their own activities. 4 Citing Palestinian Legislative Council Member Hanan Ashrawi and economic Planning Minister Nabil Sha’at. 7 “Egypt’s Opposition Press Attacks Peace Activists,” MEMRI, May 12, 2000 at: http://memri.org/bin/articles.cgi?Page=archives&Area=sd&ID=SP9300. (11267) For details of Ali’s expulsion, see Middle East Quarterly (Winter 2002). 8 Jerusalem Post, May 3, 2004, quoting the Associated Press, Cairo, Egypt. East Media Research Institute at: www.memri.org/. Jaffee Center for Strategic Studies.